Get the Led out and get the fans in! 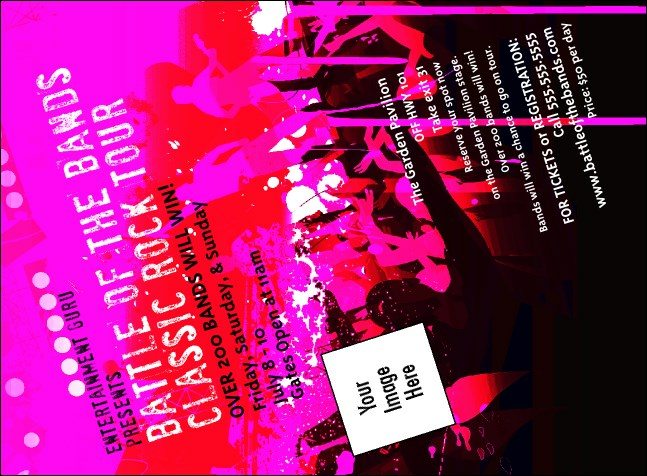 The Rock Concert Pink Invitation lets the world know you're ready to rock. Just enter your event information into the template below, upload your own custom image, and we'll print and ship your order fast. You can even choose a matching Event Kit to make the show. You've got the look! Make it match with the right Event Kit from TicketPrinting.com.